After graduating from Temple University's law school in 1989, Robert Drake served as Judicial Law Clerk to Hon. John P. Fullam, then Chief Judge of the United States District Court in Philadelphia, now retired. From Judge Fullam's chambers, he moved on to Montgomery McCracken Walker & Rhoads' labor and employment law department, and then in-house to CIGNA Corporation, where he litigated CIGNA's employment law disputes in trial and appellate courts and in arbitrations throughout the United States, wherever CIGNA did business. At CIGNA, Robert served as the chief employment counsel for Lovelace Hospital System, an acute care hospital and urgent care clinic system in New Mexico that was wholly owned by CIGNA. In this capacity, he was primary counsel for engagement or employment of physicians and other allied health care professionals and support, including compliance with the Stark Law, Anti Kickback Act and other health care specific laws and regulations affecting employment in health care and engagement within the stream of hospital/patient health care services. Robert was also primary employment counsel for CIGNA Government Services - a corporate subsidiary that contracted with the United States Department of Health and Human Services to provide Medicare/Medicaid claims services, and for CIGNA's internal handling of major whistleblower and government/law enforcement initiated investigations into any of its hospital, insurance industry and business practices. 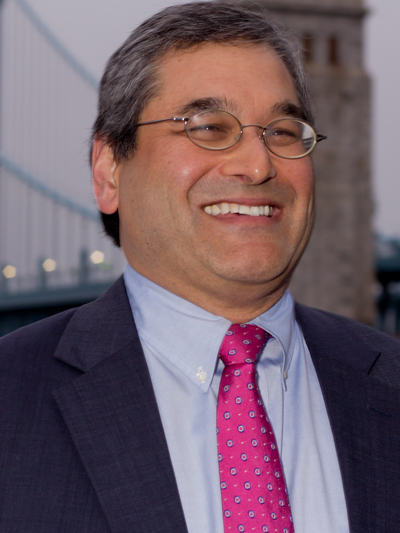 After leaving CIGNA in 2008, Robert joined the Philadelphia office of Littler Mendelson, the largest law firm in the United States dedicated solely to employer side employment law. As a member of the Core Teams of the firm's Health Care Practice Group and its Corporate Ethics and Compliance Practice Group, he continued to represent employers operating in heavily regulated environments such as health care and businesses contracting with federal, state and local government entities and agencies. Now, as a member of Drake Speciale LLC, Robert is able to bring more than 30 years of employment law expertise, gained from representing some of the largest, most sophisticated global businesses in the United States, to both individual employees and employers of all sizes. He is able to provide the highest quality legal expertise, sound business counsel and rigorous representation that are expected from the large, elite law firms and corporate law departments with the greater personal attention of a small practice that is founded upon personal relationships. United States District Court, Middle Dist. of Pa.
United States District Court, Western Dist. of Pa.
United States District Court, Eastern Dist. of Mich.
United States Court of Appeals for the 2nd. Cir. United States Court of Appeals for the 4th Cir. United States Court of Appeals for the 6th Cir. United States Court of Appeals for the 8th Cir. United States Court of Appeals for the 9th Cir.